One of the best parts about being a wedding photography is watching families grow. I've been so blessed to share some special memories with Greg and Stacey having photographed their engagement in Chicago, summer wedding a few years ago, and now as they welcome their little baby girl. 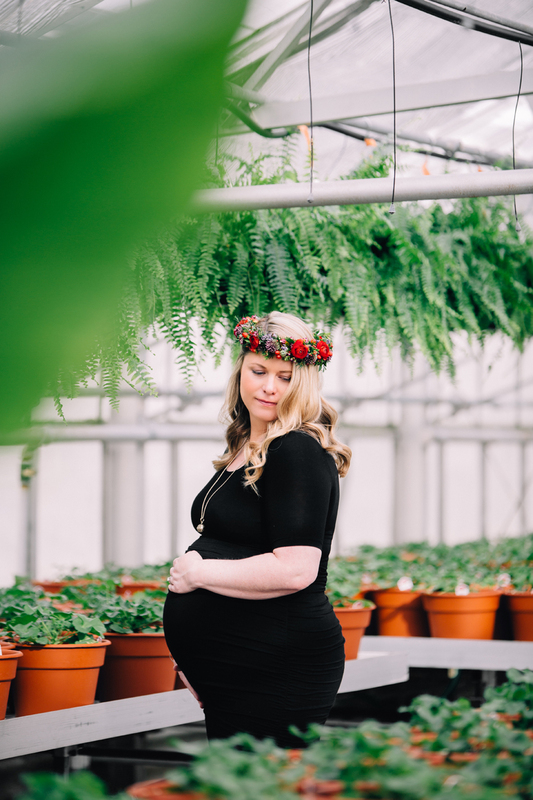 Stacey you are a beautiful mother to be, thank you for sharing such special moments with me. I can't wait to meet her! 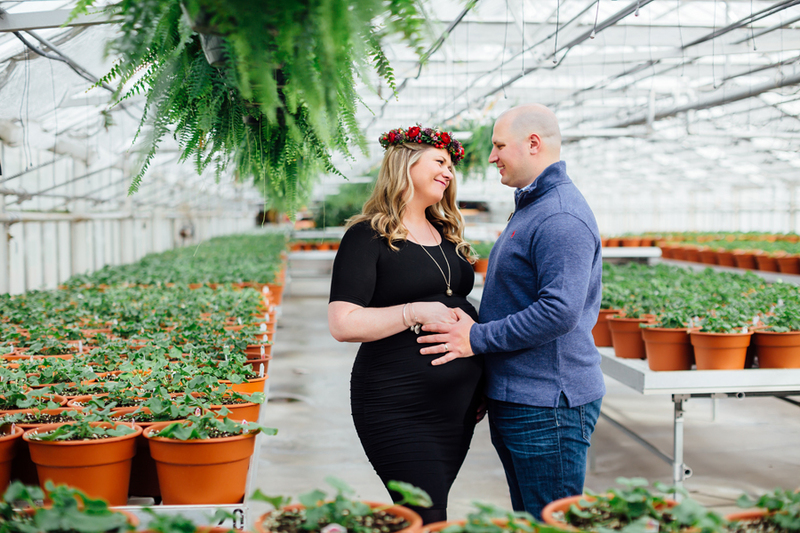 A very special thank you to Romence Gardens and Greenhouses for their warm friendly staff who was more than accommodating in letting us use their lovely space for pictures. It's hard to predict the weather here in Michigan in early March, and the greenhouse provided a much needed spring feel of lush green growth. 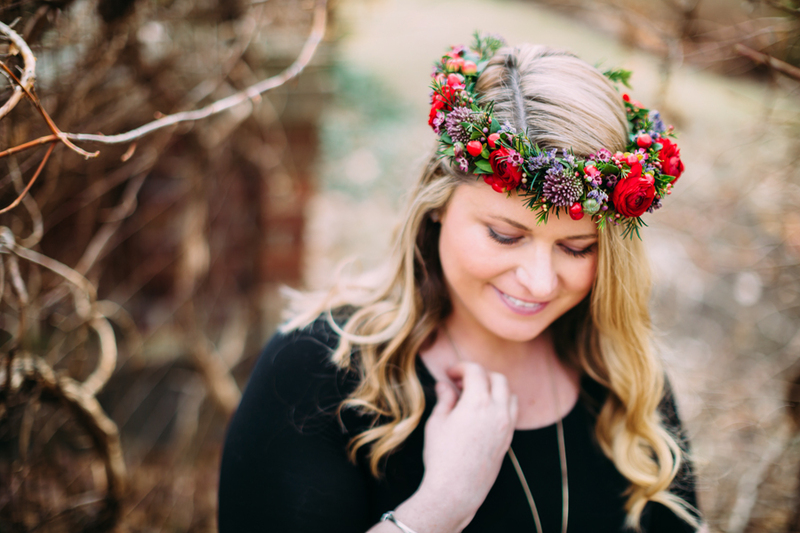 Also, thank you to Alyssa from Fleurology for the flower crown that added a perfect pop of color.